-Happy Phirr Bhag Jayegi (transl. Happy will run away again; is an Bollywood comedy film directed by Mudassar Aziz and produced by Anand L. Rai and Krishika Lulla. 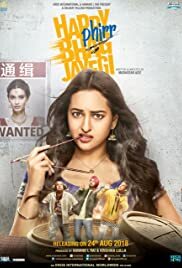 The film is a sequel to Happy Bhag Jayegi (2016).